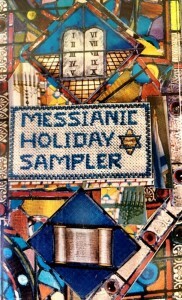 The Messianic Holiday Sampler is a collection of songs that can be sung as special songs during the Feasts of the L-rd, including Sukkot, Passover, Shabbat, Hanukah and more! “Just Like Joseph” is an eclectic mix of upbeat, contemporary worship songs, from folk to jazz and light rock to Gospel music! This new collection of original songs are in Hebrew, English and even one song in Spanish. Enjoy the music and put on your dancing shoes! All the songs were written and recorded in the Galilee! “The Latter Rain” will amaze you. The song styles vary from folk-blues to soft rock and from country-western to classical. This CD was birthed while praying over many prodigals. The L-rd poured out new songs to bless those who have strayed from the faith and encourage those who pray for them. Produced by Richard Hyde and Sasha Fishman and mastered in LA, “The Latter Rain’ features a song by Eliana Aliyah, plus 28 Israeli musicians. Nothing synthetic here – it’s real music! “Fine Linen” has an earthy, natural tone that reflects it’s Israeli roots. Many of the songs are in Hebrew, but you’ll hear the lyrics in English as well; a great way to learn some Hebrew. Many people have described this music as worship with a touch of the blues. Songs include “Fine Linen” – a great wedding song, “Shine”, “Cover Me”, “Ha Aretz” and “Hu Chai B’Tochi”. Produced by Richard Hyde and Marc Chopinsky with some of the best musicians in the land. Inner Court Dancers with Dawnita Carlson from Colorado and Malachim Dance Troupe with Marianne Hoelzhammer from Germany have choregraphed beautiful dances to the messianic music song “Fine Linen”. Enjoy the worship dances on http://www.tangle.com/ andhttp://www.youtube.com/. See lyrics for Carolyn Hyde’s songs.